Sunshine to the Square Inch: Sisters! Sisters! I don't even know what to say! 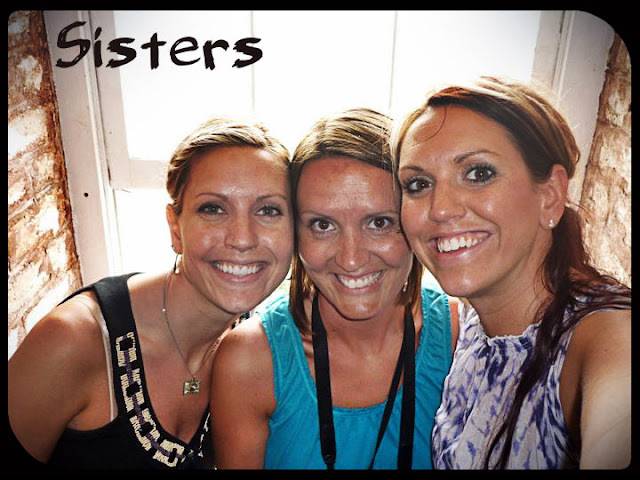 Lately I have felt extra blessed by my two sisters - Steph & Holly! With all my life changes lately they have been beyond understanding and helpful. We find a way to stay connected even though we don't live in the same location. I have gotten packages, cards, text messages, phone calls and have had lots of video chat sessions! They have both encouraged me with prayer, the Word and practical advice time and time again! My sister Steph and I have video chatted every weekday morning for 2+ weeks now! We both have slower lives and visiting in the mornings with her has been a life saver (especially since I don't have close friends that live near me from 8am-6pm when Dave is gone). Not to mention I get to see little Z every day which is pretty awesome too!!! Thanks you two for all the sister love! Holly, Steph and Me. I love you two bunches and bunches! Yay! I'm looking forward to beach time with everyone! So sweet! And that is such a gorgeous pic of you 3!